Lock in a great price for Penzión Oaza – rated 9.4 by recent guests! The hosts are really nice and the room is very comfortable and the facilities are perfect! Cleanliness, good facilities, being close to city center. Very friendly and helpful staff, central location, beautiful view from the window. Highly recommend. 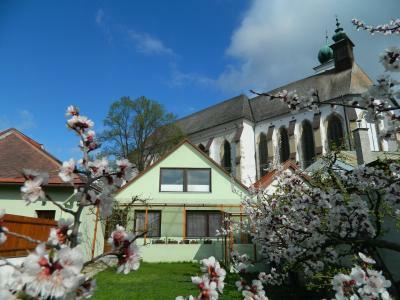 Good location in the old town, spacious and clean room, good wifi, hot shower and staff. I highly recommend this place. On arrival Veronique was so welcoming which always means a lot to me when I travel. My room was very comfortable and the WiFi worked well. Facilities to cook and make coffee. Location very close to main square. For the price, this place is a gem. 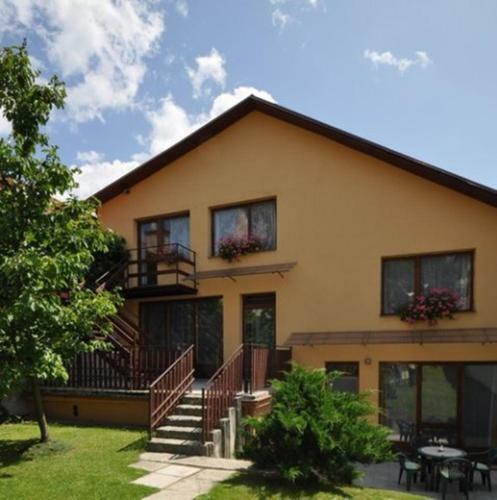 Property is located very close to the town center of Levoča. However, in the evening and the night it was very quiet. View out of the window was nice. Very relaxing accommodation in Old Town with very helpful owners. We are definitely coming back. Penzión Oaza This rating is a reflection of how the property compares to the industry standard when it comes to price, facilities and services available. It's based on a self-evaluation by the property. Use this rating to help choose your stay! 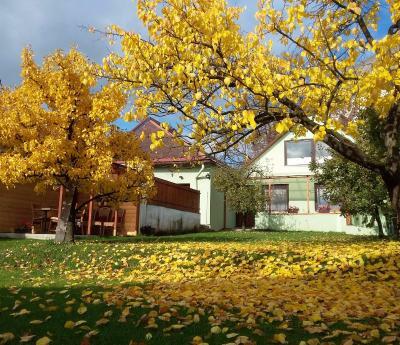 Penzión Oaza is located 500 feet from the center of Levoča. Free WiFi access and free private parking are available. All units at Penzión Oaza come with a TV and a small dining area with a microwave and an electric kettle. Some rooms feature private bathrooms fitted with a shower and free toiletries, while some come with a shared bathroom. The closest grocery store as well as the nearest restaurant are only 350 feet from the premises. 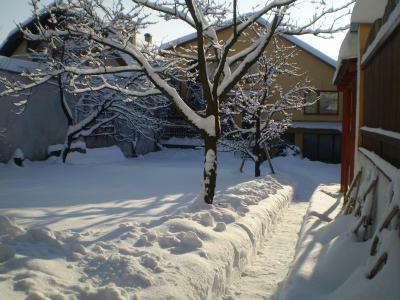 The pension offers a 24-hour front desk and a garden with barbecue facilities. 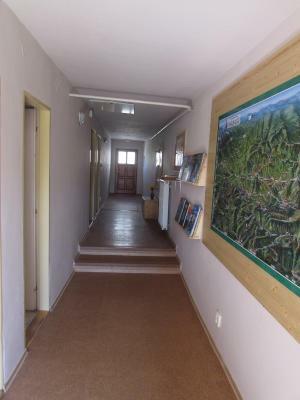 Other facilities offered at the property include ski storage. An array of activities can be enjoyed on site or in the surroundings, including skiing and hiking. 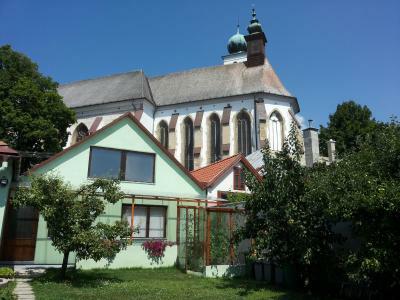 The Saint Jacobs Cathedral is to be found within a 3-minute walk from the property. The Ski Area Levoča is reachable within 3.1 mi. The Spis Castle is less than 8.7 mi away. When would you like to stay at Penzión Oaza? This room features satellite TV, an electric kettle and a microwave. A private bathroom is fitted with a shower and free toiletries. 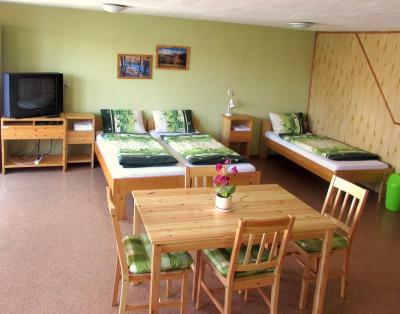 This room with a shared bathroom features satellite TV, an electric kettle and a microwave. This family room features a microwave, dining area and electric kettle. Please note that baby cots and extra beds are available upon a request. House Rules Penzión Oaza takes special requests – add in the next step! Please inform Penzión Oaza of your expected arrival time in advance. You can use the Special Requests box when booking, or contact the property directly using the contact details in your confirmation. The host is a friendly family! They are very nice to anwser your questions. The room was also very nice and comfortable! I definitely recommend this Pension to you!! Room furnishings and furniture were quite outdated/old. Great garden within the premises and if you like drinking coffee in the green setting this is for you. 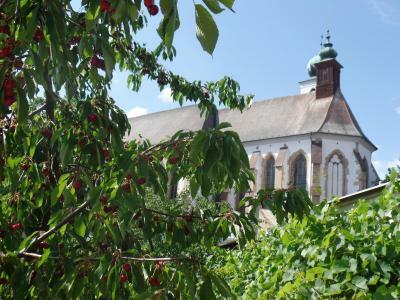 The town is interesting and the surrounding nature even more. 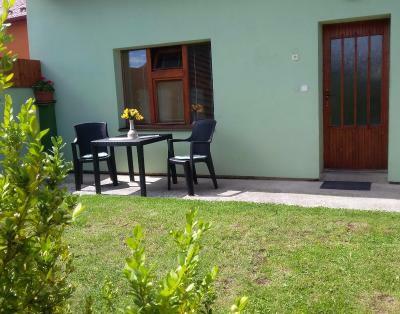 Parking is possible near the house and everything worth see in the town is within the 20 minutes walking distance. A good place if you decide to eat outside. Our room was fitted with a kettle and sink only, so a cup of tea and sandwiches was no problem, but in some other places we stayed during our journey we could even cook 3 meals a day. No complain, it's just such a kind of accommodation. Btw. some rooms there have more facilities. The landlady and her husband extremely helpful. They helped us to carry the luggage (1-st floor). 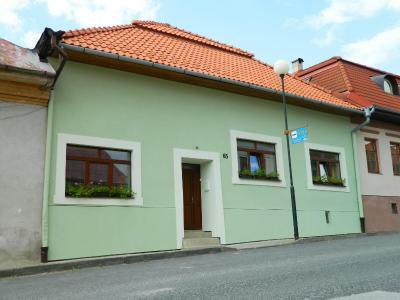 The house is located within the historical center of town, nevertheless the public parking place was easily available (in May). The environment (the yard, terraces) very pleasant. Very quiet place. 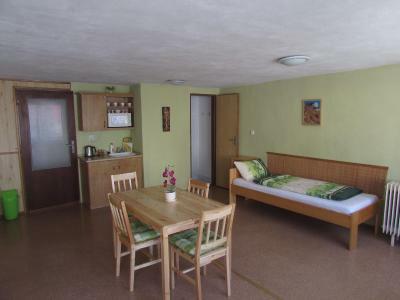 The room furnished with beds, chairs, wardrobe sofa and table. We were very satisfied with our stay.